It’s seven o’clock on a Wednesday at Winnipeg’s darling hipster hangout, The Good Will Social Club, and the venue is unsurprisingly quiet. 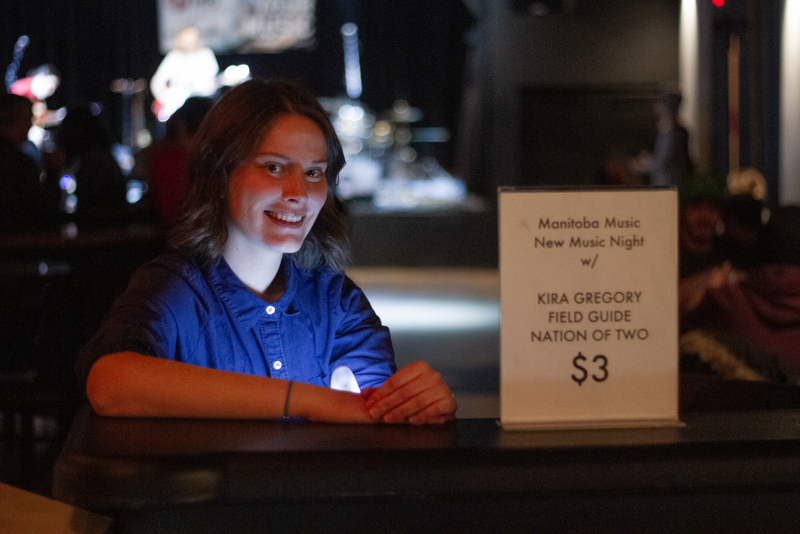 Claire Boning, the new membership and events coordinator of Manitoba Music, bustles around, hanging up banners, counting the door float and tracking down performers. It’s New Music Night again, the latest installation of Manitoba Music’s recurring showcase for up-and-coming performers to test out the waters, or established artists to test new material to a crowd. The monthly series takes place every first Wednesday at The Good Will Social Club, one of the city’s premiere indie venues. 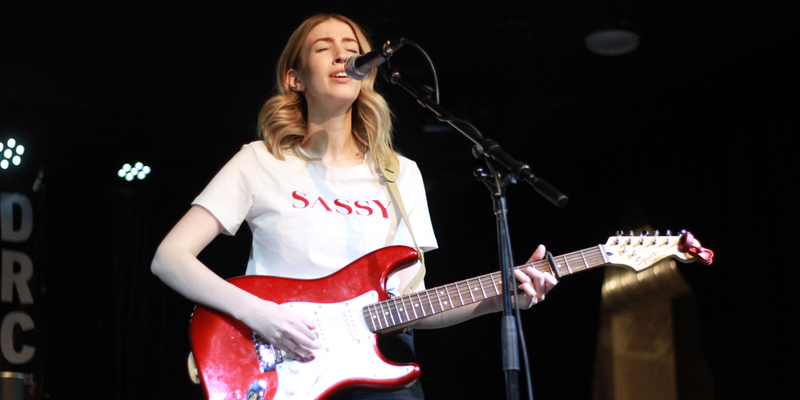 “We give up-and-coming artists the space and platform to play their hearts out and invite their friends and family and play at a great venue,” said Boning. Tonight’s show on March 6 features husband-and-wife folk duo Nation of Two, Field Guide – the latest outfit of singer/songwriter Dylan MacDonald of The Middle Coast fame – and alt-folk artist Kira Gregory. By eight o’clock, the venue’s tables are crowded, waiting for the show to start. 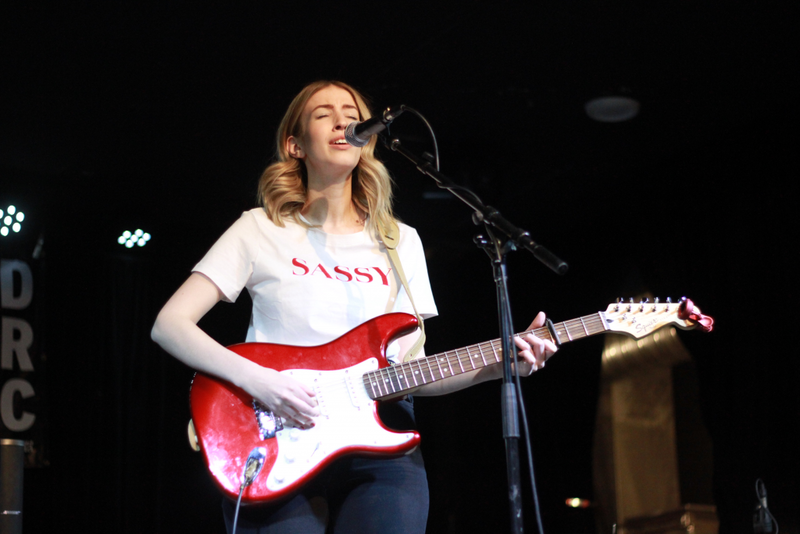 Gregory takes to the stage, accompanied by fellow musician and New Music Night alum Erika Fowler, to play tracks from her most recent EP, February. 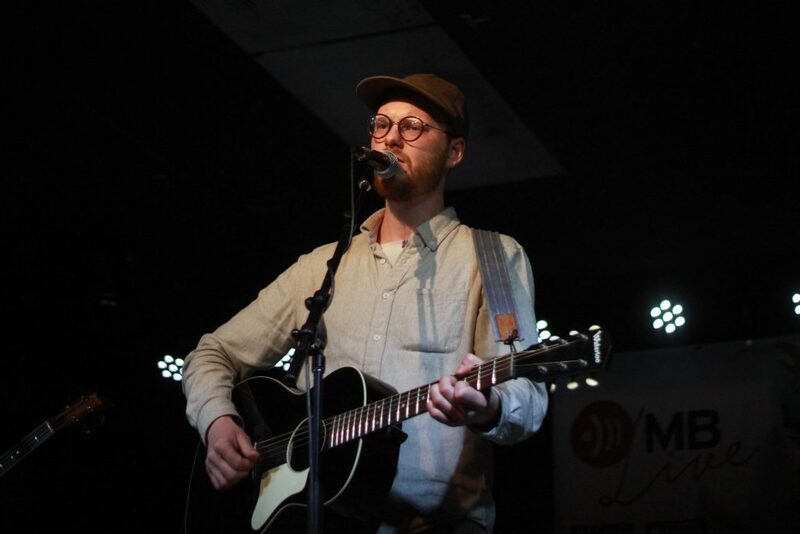 Gregory discovered Manitoba Music through Winnipeg Folk Festival’s Young Performers Program, a multi-day workshop hosted during the Festival culminating in a showcase at Shady Grove stage. 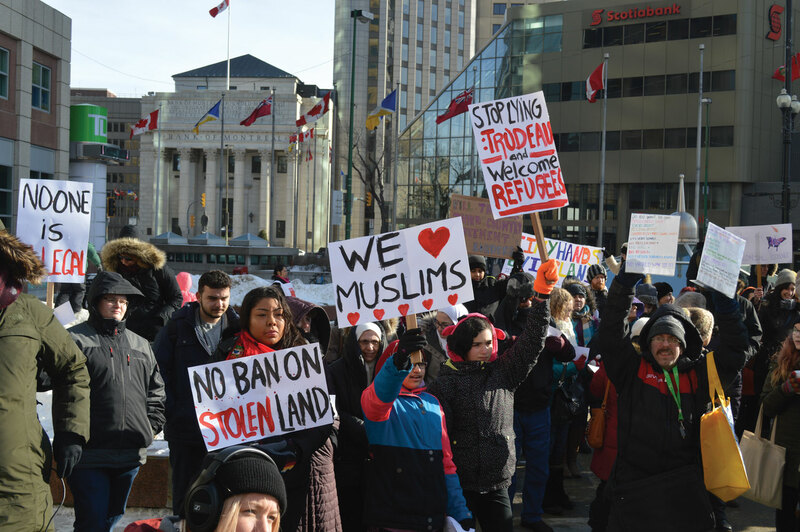 All participants were offered a one-year membership to Manitoba Music as part of the program. “I’m so glad this opportunity came my way because Manitoba Music has been so helpful and supportive through my music career,” said Gregory. Manitoba Music, a member-based non-profit, represents over 800 individuals involved in the music industry, including musicians, studios, venues, producers and more. They produce and sponsor a number of showcases yearly, including New Music Night. 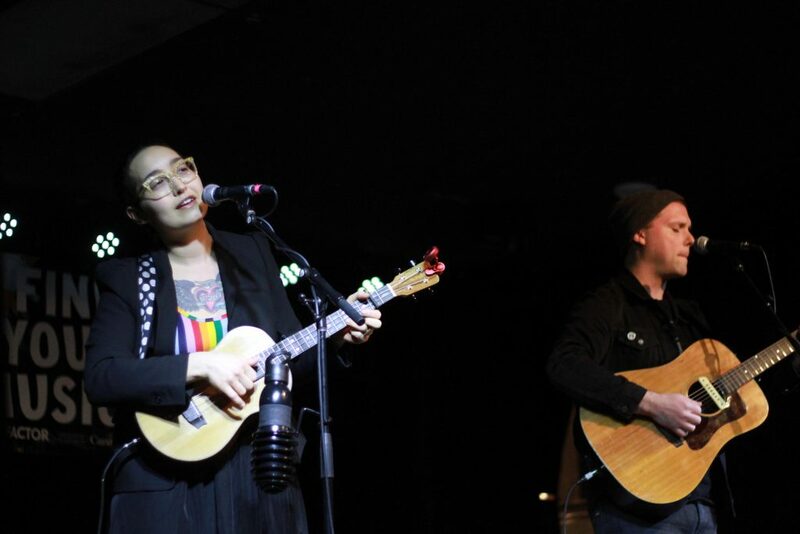 The next New Music Night takes place Wednesday, April 3 at The Good Will Social Club, featuring indie-lo fi trio HUMOUS, Americana singer-songwriter Kris Ulrich and indie-pop artist FONTINE. Tickets are $3 and can be purchased at the door. The show starts at 8 p.m. and doors open at 7:30 p.m.